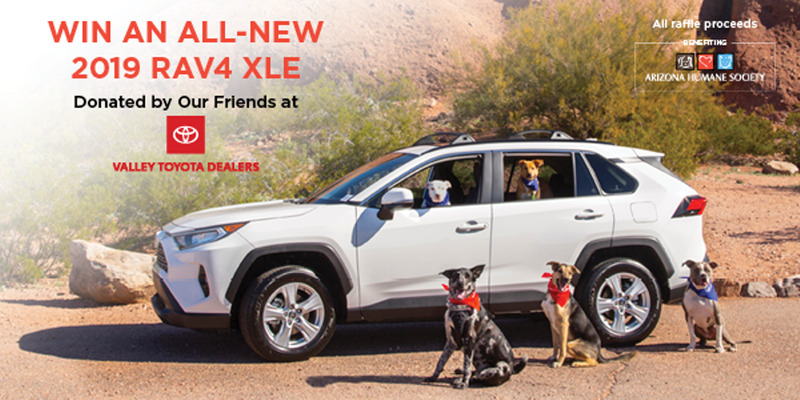 This is your chance to win an all-new 2019 Toyota RAV4 XLE and help our furry friends! We've partnered with the Arizona Humane Society for a car raffle that will help raise money for homeless pets in our community. Click below to learn more! We're excited to announce that we've earned the 2018 Toyota Board of Governors, President's and President's Cabinet Awards! These esteemed honors showcase our team's commitment to value our customers' needs and provide exceptional service. We're especially proud to have once again earned the President's Cabinet Award, which is the most prestigious among these credits. We've won the award for eight years in a row and will work hard to ensure that we take it home once again for 2019. Click below to see all of the awards that we've earned over the years! The Toyota 86 offers a new trim level for the 2019 model year. Joining the 86 base and the GT trim level is the 86 TRD Special Edition. This top-of-the-line trim offers a number of sports and performance upgrades such as Brembo Brakes, SACHS dampers, and Michelin Pilot Sport 4 tires. The TRD Special Edition is available in an exclusive Raven exterior paint.